Until now, carb-loaders and performance athletes have had to take the good with the bad by accepting the negative effects that basic carbohydrate fuels have on glucose and fat storage. Traditional carb sources like maltodextrin can create massive spikes in blood sugar and insulin levels, resulting in hormone imbalances, energy crashes, mood swings, bloating, and a cluster of other undesirable consequences. 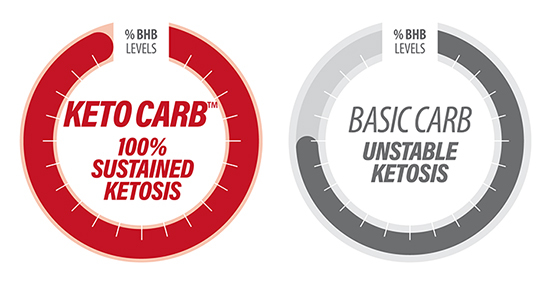 Working to avoid these effects, KETO CARB™ has been shown to produce a stabilized, 27% lower blood-sugar response. 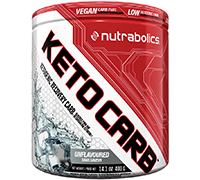 KETOCARB™ also minimizes swings in anabolic and fat reducing hormones by supporting a 82% lower insulin response. With an osmolality of just 30 mOsm, it’s the ideal choice for weight lifters and performance athletes seeking to revolutionize their pre and post-workout energy refueling process. 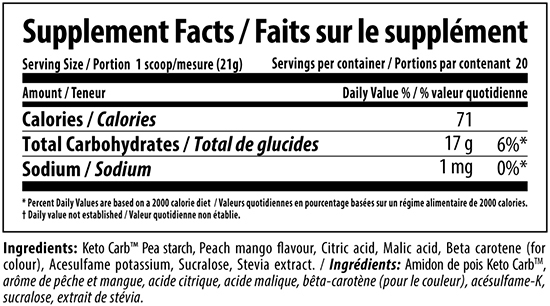 Note: Ingredients and values may vary depending on flavour. Directions for use: Mix one scoop of KETO CARB™ in 8 oz – 10 oz / 250 mL – 300 mL of cold water and shake for a few seconds. Consume 1 serving at the start of your training session. For best results, combine with a diet and exercise program.